This is part 3 of a three part series about Pagan Conventions, Pagan Festivals and Intensive Camping Ordeals. 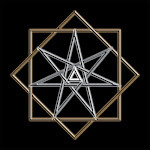 Witch Camp is an on-going and rapidly growing type of week long gathering whose focus is facilitating an intensive, ordeal-like experience, where attendees are assisted by mature elders to achieve a transformative experience. This event is nothing like a festival or a convention; it has none of the partying atmosphere or convivial socializing that either a festival or convention has. Yet what it does have is a powerful sense of commitment and a serious desire to push the envelope in regards to practices and beliefs, seeking to evolve and develop them through ecstatic experiences and powerful visionary insights. Gatherings are small, dedicated and committed. 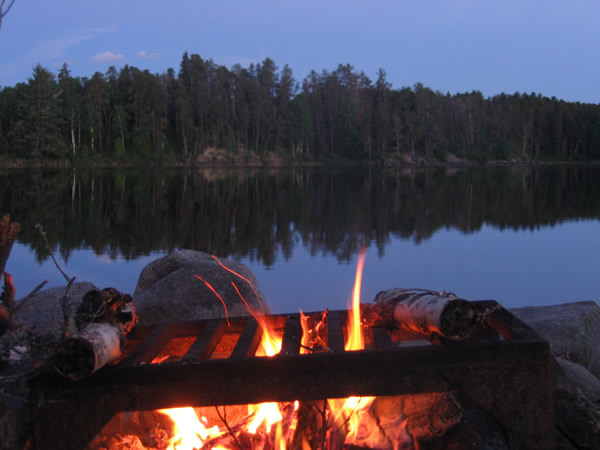 They occur at remote locations and small camp grounds where privacy is absolute. Yet Witch Camp is not for everyone, since the physical and psychological requirements are severe; only those who are mobile and in reasonably good health should consider such an ordeal. The history of Witch Camp is quite fascinating and it hails from the bay area of San Francisco, developed by members of the Reclaiming Craft Collective, a group of individuals whose beliefs and practices are well represented by the writings of Star Hawk. They were zealous guardians of anarchy, pure egalitarianism, steadfast promoters of equality, and they believed in sharing resources, work and practical spiritual knowledge. They did not believe in initiatory degrees, seeing them as boundaries erected by privilege or personal charisma or power, and they couldn’t accept that some can represent or channel the gods or deities while others can’t and need to be guided and led. All are equal, regardless of the amount of experience they have. However, facilitators do take the responsibility of organizing and directing the Witch Camp experience, but they also don’t have any exclusive authority. That authority is only found in the consensus of the collective. While we can forgo the specific details of the Reclaiming Tradition because that is a particular branch of Witchcraft, the idea of Witch Camp as an intensive retreat is compelling and profound. Such an intensive retreat that facilitates an ordeal producing personal transformation has a central and important place in the various types of gatherings and social networks. This is not a new type of gathering, since its roots are shamanic, and spiritual retreats and intensives have been a part of other religious organizations for a very long time. However, it is new amongst witches and pagans. One of the known problems with the Witch Camp put on by the Reclaiming Tradition is that the intensive retreat espouses the beliefs and practices of reclaiming, which can have a very political and ecological perspective. This political and ecological perspective, although very much in line with reclaiming, doesn’t represent the beliefs of many other traditions of paganism and witchcraft. There have also been claims of aggressive coercion and narrow mindedness associated with these exclusive gatherings, but Witch Camp does reflect the teachings of the reclaiming tradition, so the retreat would be a proving ground for those practices and beliefs. Those who would not agree with the basic premises of this tradition would find themselves at odds with how such an intensive retreat is conducted. So for this reason, Witch Camp is probably an event intended for a small minority of practitioners in the larger population of witches and pagans. However, the idea of promoting an intensive retreat is very appealing, since it seems to answer a need that other kinds of gatherings fail to satisfy. So I will use the term Witch Camp to loosely define an intensive retreat that could be organized and assembled for other groups of witches and pagans outside of the Reclaiming Tradition. So what would a Witch Camp be like? Since I have not had the privilege of attending one of these events, I can use my knowledge of how transformations can be elicited from small groups of individuals, since this represents some of the in-depth knowledge that I have developed over a long period of practice and also from undergoing personal ordeals of one kind or another. A Witch Camp would consist of a small group of individuals bonded by a desire to achieve personal transformation. There would be experienced and seasoned facilitators who would manage the event, and there would be attendees, who would seek to maximize their understanding and insights regarding their faith. An operational assumption would be that the attendees have some kind of internal psychological barrier that keeps them from achieving greater awareness and deeper spiritual perspectives. They are committed and intensely desire to overcome this barrier and to experience a profound personal breakthrough. The facilitators guide and assist the attendees in achieving this goal and they also take personal responsibility in assisting and taking care of the attendees. In addition, there can be other attendees who have already undergone this ordeal and they can help the facilitators in their tasks. The group as a whole is completely committed to this operation, from beginning to end, but everyone is a volunteer and no one is there except by their own free will. Anyone who desires to end the ordeal prematurely can do so, none are forced to stay. An intensive retreat would first require a rustic or rugged camp site that would offer few amenities to those attending. It should be remote and perhaps even a little difficult to find, thus affording absolute privacy. Living in this space for an entire week would require that everyone is involved with the tasks of keeping the camp in order. Food preparation would be communal and limited amounts would be offered, although some attendees could opt for fasting (although such a regimen would take them out of doing much in the way of heavy camp work). Eating, sleeping and waking up would be regulated by the facilitators, as would the work of acquiring and chopping wood, lighting fires, cooking food and cleaning up. Bathing could be something that is not required daily or might even be a luxury - the more rustic the setting the better the ordeal. Also, abstaining from drinking alcohol, smoking cigarettes or doing any kind of drugs except those required for one’s health, would also be part of the regimen. This would include behavior and activities that would be out of balance with the objectives associated with the intensive retreat. There would be times required for silence and meditation, and also requirements for performing devotional services, which would occur throughout the day and the long week of activities. The cost of the event would be shared amongst all of the individuals attending, either facilitators or attendees, so the overall price of everything would be equally divided. This means that a Witch Camp would be expensive to attend, although costs could be negotiated, and work could be substituted for the entry fee (although this might violate the requirement that everyone works, and that one person is no more engaged in camp work than anyone else). If the group is very efficient and frugal, finding ways to make the individual price as affordable as possible, then that would be optimally acceptable to everyone involved. Most of the activities that foster transformation in Witch Camp would be psychologically based, seeking to address individual issues head on and attempting to overcome them. Each attendee, and certainly, even the facilitators, would be expected to give up something (usually some habit or personal crutch), confess their errors, admit wrongs and imperfections, and seek to understand themselves in a manner that ordinary life would prohibit. Much time would be devoted to individuals abasing themselves to their gods and examining their faults and bad behaviors. Stress would be applied by facilitators and assistants on each individual attendee. However, it would be important that everyone retains their dignity and sense of self - no one should be indiscriminately hurt or unfairly picked on. The whole purpose of this regimen is to assist individuals in letting down their boundaries, eliminating fears, and letting go of their petty egos. It helps to rid them of false pride and personal self-worth in order for them to be able to achieve a sense of union with the gods, and therein, to be truly and spiritually empowered. The first half of the ordeal would focus on breaking down barriers and eliminating personal illusions, while the second half would focus on identifying with nature and the gods, and seeking to be inspired and empowered selflessly through them. The daily giving of devotions to the gods and the time spent meditating in groups and alone would give the over-all atmosphere of the retreat a potent spiritual perspective. Also, during the entire event, attendees would be subject to the judgement and peer review of their elders. Every vision or experience they have would be offered up for examination and group analysis with no exceptions. These daily tasks and activities would build to a climax, scheduled (hopefully) to occur in the middle of the allotted period for the retreat. Evenings would be used for ritual work and activities that would aid the attendees in achieving transformation. Being bound, blind folded and led around, lightly scourged, and forced to uncomfortably stand or squat for periods of time could also be part of the regimen. But the main idea is after a climactic ritual in the middle of the week, then a period of rebuilding and positive reinforcement would be actively engaged. The climactic ritual could be based on the typical archetypal underworld ordeal of divestiture and psychic reduction to one’s essentials, followed by the presentation of mysteries and induction into a fellowship of secret devotees of the gods. As part of this induction, attendees would receive (and also determine for themselves) a new identity and name, and would learn the secret identities of sisters and brothers who had acted as facilitators or assistants. The rest of the week would involve personal empowerment exercises and the sharing of insights and personal teachings - something that would be avoided until after the achievement of the central ordeal. Roles of facilitator, attendee and assistant, would not be static. Facilitators could return to the event as attendees or assistants, and attendees could become facilitators at a later event. Also, these roles do not grant any privileges nor define any kind of personal power. A facilitator functions under the same requirements for work, study and ritual performance that the attendee also functions under. The event is ruled by consensus, voluntary engagement, equality and everything occurs as a function of pure egalitarianism. The facilitators have the responsibility for the event and they know how it should be run and when activities should be done. They have this responsibility, but they do not have any authority to tell anyone what to do or how to do it. Everything is done by those electing to do it, knowing that the whole operation is either successful or fails due to the work and cooperation of everyone. As a sign of this freedom, each evening before bedtime is marked by a community meeting, used to discuss the events of the day, give out accolades for achievements or work well done, discuss any problems or issues, and determine the work for the coming day. No one is taken for granted, and no one is either coerced, bribed or exploited in the individual tasks or overall process of the retreat. While it is customary at Witch Camps to offer only vegetarian food, this can be determined by the group facilitating the retreat, whether it is in their interests to follow this example or not. I would recommend it, since it would add another regimen to the ordeal, especially for those who are meat eaters or followers of no particular dietary discipline. Since the food is communally prepared, then the times of eating, and the amounts consumed could be controlled. The absence of alcohol, caffeine or any kind of soft drink or junk food would also be a part of this regimen. Groups could consider any kind of alcohol or other substance as a sacrament to be associated strictly with offerings and sharing with the gods, or forgo them entirely. Prior to the climactic rite, the amount of food consumed could be marginal or might even involve some fasting. Certainly one could forgo three meals a day, and perhaps reduce it to a light morning breakfast and an afternoon main meal - the evenings would be dedicated exclusively to ritual work. Drinking water would be an exception, and abundant sources of pure water for drinking would be a requirement. Such a strict ordeal, engaged in voluntarily by facilitators and attendees, and whose every waking minute was focused on the objectives and tasks of obtaining a powerful and ecstatic transformative experience could hardly fail to produce one. These kinds of experiences are very relevant to the practice and building up of the traditions of paganism and witchcraft, since they require individuals to experience the inner domains of spirit and to test the validity of one’s beliefs and assumed traditions. While it is comfortable and pleasant to socialize and party with like minded individuals, it is far more important to push the envelope and learn what is behind the various beliefs and practices that we typically take for granted. An intensive retreat would also be an opportunity for attendees to be examined and constructively judged by their elders and peers, something that never happens during a festival or a convention. We pagans and witches need to develop far deeper insights and perspectives than what has occurred previously, and we need to do this as an ongoing process for many decades into the future. A Witch Camp is probably the most sustainable types of gathering especially if it is local to the community, but it’s not for everyone. It should also be noted that the nature of egalitarianism, so crucial to such an event as this, cuts through all of the illusions and assumptions that are part of the doctrine of traditional witchcraft, such as that practiced by Gardnerians or Alexandrians. Attendees, whether they are simple first degree witches, non-initiates or self initiated, or a high priestess witch queen are treated equally, and their outside spiritual or mundane personas or roles are left at the boundary of Witch Camp. There can be no associated perks or special considerations for anyone who is either attending or facilitating, for all are treated as equals. This fact might be undesirable for some who belong to a traditional witchcraft tradition, and they can elect to avoid such an event. However, such an avoidance speaks volumes to one’s commitment for building and evolving the newly derived earth-base spiritual traditions. Those who choose not to grow or evolve their faith will certainly end up left behind, and Witch Camp is one such type of gathering that aids this growing and evolving. We have examined the various types of gatherings that witches and pagans can attend, and we have also looked at them in regards to relevancy, sustainability, and examined their virtues and failings. While it is certainly not my place to either recommend or denigrate any type or specific gathering, it seems evident that seasonal and annual local pagan festivals, along with associated witch camps and intensive retreats, are the most likely candidates for the future of our spiritual movement. Large regional festivals and conventions probably face a limited future, and will not be likely to persist in the decades ahead, what with the impact of limited resources and the necessity to adapt to changing times. Large gatherings may be more likely to occur once a decade, if at all. Local organizations and events are much more sustainable and these will likely persist and flourish in the future. Yet the most profound kind of gathering will be the intensive retreat, called Witch Camp by some, and perhaps spawning many variations in the future, each established for different regional areas and different traditions, practices and beliefs. It is my opinion that the future of our spiritual movement will be shaped not by social gatherings or even by individual groups or covens, but by intensive retreats that will give a level of spiritual authenticity to our beliefs and practices which normal activities and engagements fail to offer. The future of wicca and paganism will be forged in variations on Witch Camps, and from them new traditions, beliefs and practices will be established. This is my theory and my belief, but only the future will reveal whether or not I am accurate in my prognostications. Just a quick comment that I can think of a few events that fit the general feel of what you describe in this post that *aren't* run by Reclaiming or even necessarily Wiccan groups. The first, and longest running, is called Twilight Covening (http://www.earthspirit.com/Twilight/twbrsplash.html) breaks down attendees into "tribe", and each "tribe" is offered a different intensive experience. Some offer levels of ordeal while others are more focused on intensive study of a single subject or idea. A similar and smaller event called Mythical Journeys was run in Northern Maryland by the Free Spirit Alliance. It is currently on hiatus as they search for a location that accommodates the necessarily-smaller numbers the event attracts. Finally, Fires of Venus is an event in Northern Maryland (http://turtlehillevents.org/firesofvenus/index.htm) combines the structure and feel of a fire-circle event (including the ordeal of staying up all night and keeping vigil) with the focus and education on subjects of love and relationships from a pagan perspective. These are just three that I can think of off the top of my head. I'm sure there are others.